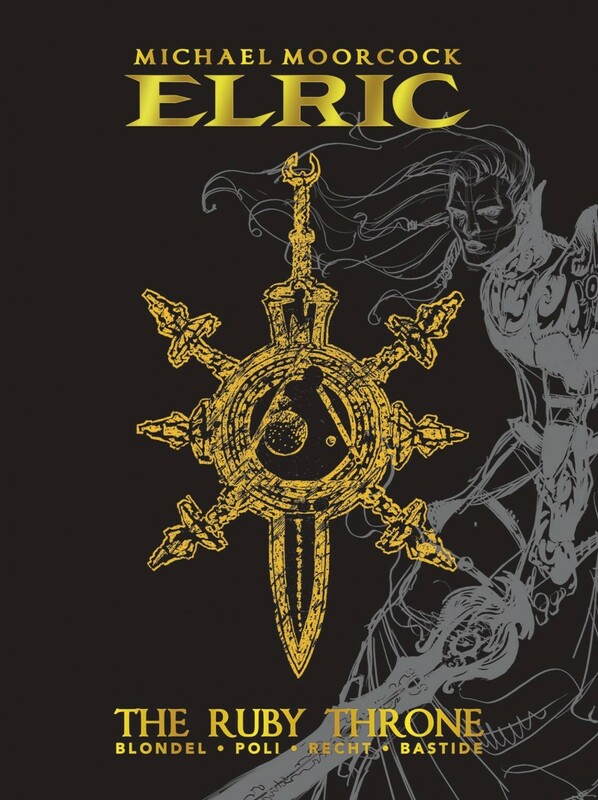 Lavishly illustrated, this new oversized deluxe edition of the critically-acclaimed Elric: The Ruby Throne features a brand new gold foil cover and an introduction by Michael Moorcock! The ancient island of Melnibone has been ruled by Elric, the albino Emperor, for a millennia. Now his envious cousin Yyrkoon, Prince of Melnibone, plots to overthrow him and claim the Ruby Throne for himself!